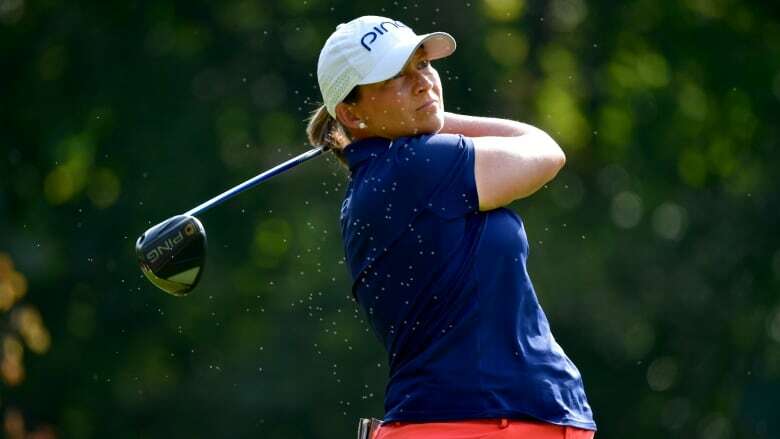 At age 40, and 15 years after she was runner-up at the U.S. Women's Open, Stanford's wild final few holes gave her a 12-under total of 272 at the Swiss course. Olson missed a six-foot putt for bogey on the 18th to force a playoff. She carded a 74 to fall into a four-way tie for second place with fellow Americans Austin Ernst and Mo Martin, and Sei Young Kim. Canada's Brooke Henderson finished in a tie for 10th place at 8 under. After Olson was outright or joint leader all day — briefly with Stanford at 13 under — she three-putted to end her championship with a career-best result. Stanford earned a $577,500 US winner's check.